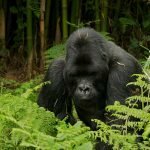 The photography Safari Uganda is Specifically for photographers who intend to get the best pictures of Uganda’s Primates including Gorilla and Chimpanzees, as well as other wild life in specific areas listed below as well as meeting people and discovering their cultures. This special trip will guarantee you the best photographs in the specific sites visited, as some activities are handled exclusively to meet the demanding pictures. therefore it brings you Mabamba swamp for shoebill stork siting, Murchison Falls national park largest Savannah protected area, Kibale forest national park the primate haven of Uganda, Queen Elizabeth national park for largest concentration of hippos and lions, Bwindi impenetrable national park the home of endangered mountain Gorillas, Mgahinga gorilla national park that hosts mountain Gorillas and endangered golden monkeys, and Lake Mburo national parks a home for plain zebras, Elands and impalas, besides wildlife we focus on Uganda’s culture therefore this will bring you to feel that you are in multi-cultural country and pearl of Africa. On arrival at Entebbe international Airport, the guide will pick you up and transfer to your Hotel for an overnight stay. On this day, you will have you breakfast the go for morning game drive where you will have enough time to take pictures of savannah game such as Elephants, giraffes, buffalos, hartebeests, Uganda kobs, warthogs, oribi birds of different species then later you will return back to your lodge for lunch break. After lunch the guide will take you to the jetty where you will board the exclusive boat to the bottom of the falls that will reward you with hippos, crocodiles, possibly Elephants and water bucks coming to drink water at a closer view. On the falls, take enough pictures and thereafter return back to the lodge for your dinner and overnight stay at DAY1. In the morning after your breakfast, you will go for another game drive in search of more game animals, elephants, buffaloes, Hartebeest, Uganda Kob, Giraffe, Lions, Leopards birds warthog and many more which you might have missed in the first game drive then later cross the river Nile with the ferry, proceed and exit the park and drive to spend the night in Hoima so as to shorten the next day’s journey to Kibale. A relatively early morning start, after breakfast you will be transferred from Hoima to kibale forest national park the home to 13 primate species including the chimpanzees plus other monkey species like red tailed monkey, grey checked mangabeys, colobus monkeys and many more reaching there in afternoon. You will pass through different villages along the Albertine rift valley as you enjoy the view. 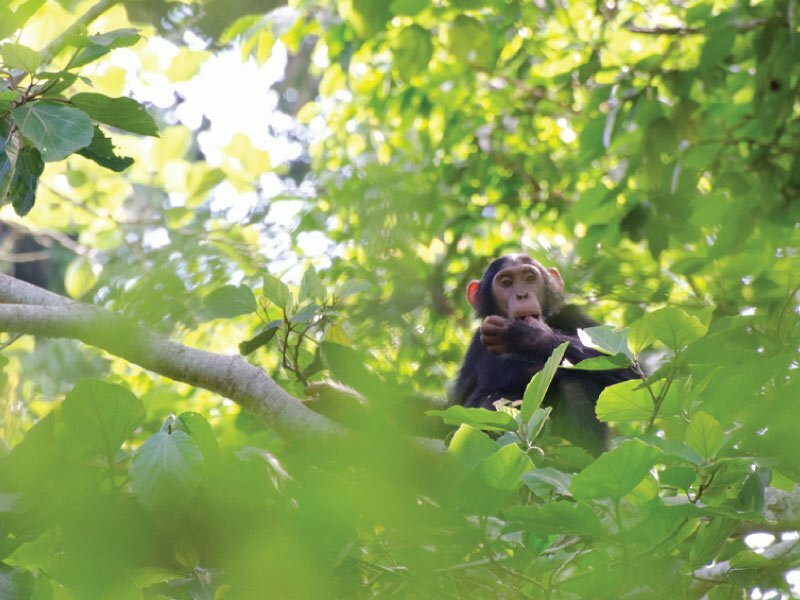 Later you will check in to your lodge for an overnight stay in preparation for chimp habituation experience the next day. KYANINGA LODGE / PRIMATE LODGE / CHIMPANZEE FOREST GUEST HOUSE. 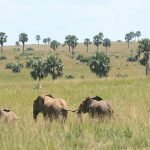 On the 5th day after breakfast, you will be transferred to Queen Elizabeth national park which is Uganda’s second largest protected area with lots of animals and bird species recorded compared to other national parks of Uganda.Enjoy Big game Savannah Safari in the afternoon. you stand chance to see Elephants, Lions, Leopard, Warthog, Waterbuck, Buffaloes, Uganda Kobs, Birds and many more. 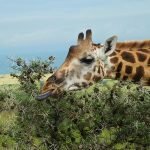 Day 7: Early morning game drive and boat cruise in the afternoon hours. Wake up and take breakfast or a cup of tea or coffee and head out for game drive in search of Savannah game such as Elephants, lions, Uganda kobs, waterbucks, bush backs, warthogs leopards and birds of the Savannah to mention but few. Thereafter you will return back to the lodge for lunch break. 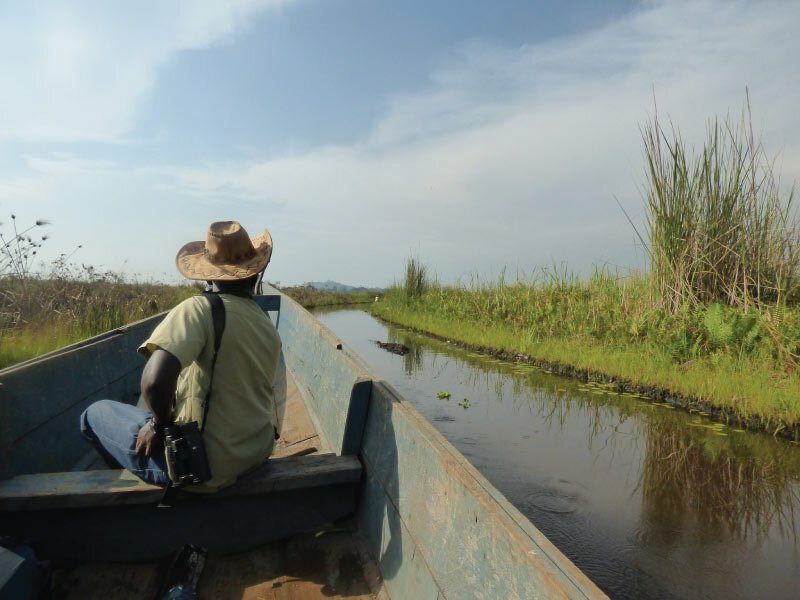 In the afternoon, report to the jetty for your exclusive boat cruise along the Kazinga channel that connects the two rift valley lakes George and Edward. This boat will enable you photography on closer view of hippos, crocodiles, and birds. Plus animals like Elephants coming to drink water; afterwards you will be taken to a short game drive and thereafter, back to the lodge for dinner and overnight stay at DAY 5. 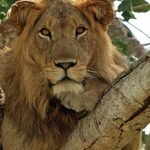 After morning breakfast, transfer to the southern part of the park called ishasha which is famous for tree climbing lions that are always sighted clinging in between the branches of the fig trees, have your lunch and do game drive in the afternoon in search of them. Here you stand more chance to see as you take more pictures of other animals like topi found only in this part of the park, Elephants, hyenas, Uganda kobs, herds of buffalos, birds, warthogs and possibly leopard and schools of hippopotamus in Ishasha River. 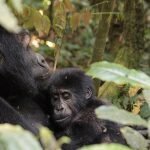 On this day after your breakfast, you will go for another game drive in ishasha for more chances to see tree climbing lions as well as other savannah game and thereafter transfer to Bwindi impenetrable forest national park which is the home to the rare mountain Gorillas and other forest mammals like duiker, chimpanzees, Colobus monkeys and many more. 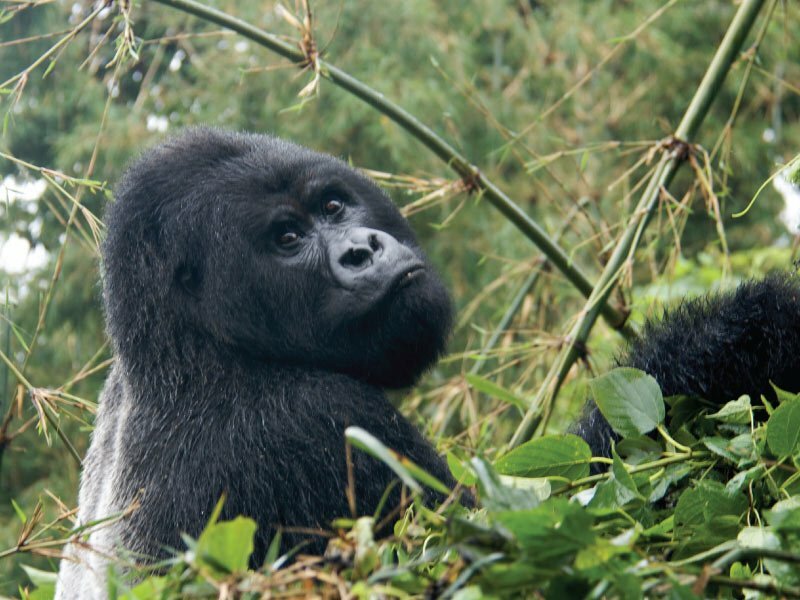 Wake up early and take your breakfast, then with your packed lunch and drinking water plus your tracking gear report to the ranger station ready for the exiting encounter to these gentle giant the mountain Gorillas, tracking here takes approximately few hours to a full day so a reasonable fitness is needed to hike up and down the mountains where these gorillas feed from. Be ready with enough films to be able to take as many pictures as you can but no flush photography with these animals. 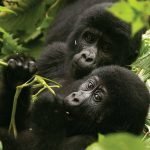 You will be briefed by a ranger guide about the dos and don’ts for gorilla tracking before you ascend to the forest for this experience. On return if time allows and you are still strong enough, go for community walk for cultural entertainments where you can even meet the pygmies, the race of short people who used to be forest dwellers and fruit gatherers before they were evicted from the forest for conservation purposes. Return to the lodge later for overnight stay at DAY 8. After breakfast, enjoy the drive to Kisoro where will go for community walk to see and meet the local people including the Batwa “pygmies” in the afternoon. 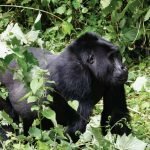 This place is adjust to Mgahinga national park which stand in the boarder of Rwanda volcano and virunga national park of Congo, accommodation here will be in this town in preparation for a visit to rare and endangered Golden monkey stay at MOUNT GAHINGA LODGE / KISORO TRAVELERS REST HOTEL. On this day wake up and take breakfast thereafter drive to the park office for the briefing about the golden monkey tracking well prepared in your tracking attire visit take photographs of these rare monkeys that will take you approximately a half a day, on return, transfer to Lake Bunyonyi which is the most beautiful lake that lie between the Kigezi rolling hills of the south western corner of Uganda special for canoeing and boat rides to visit historical islands and relaxation. You will stay at BIRD NEST RESORT LAKE BUNYONYI / LAKE BUNYONYI ROCK RESORT / BUNYONYI OVERLAND RESORT. After your morning breakfast, go for boat ride or canoeing to visit the historical islands such as Punishment Island, upside down and many more, thereafter set off to Lake Mburo national park lunch on the way. 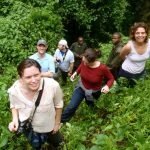 This is Uganda’s smallest savannah park but with diversity of animals, here you have opportunity to spot and take photographs of Zebras, Buffaloes, Elands, rare impalas special for this park in the whole of Uganda’s protected areas, topi, giraffes, and on lucky occasion leopard and hippos in the lake. Proceed and check in to the lodge for dinner early dinner. Afterwards you will go out for a night game drive in search of leopards, bush babies zebras and many more and overnight stay at MIHINGO LODGE / RWAKOBO ROCK LODGE / LAKE MBURO SAFARI LODGE. You will wake up have relaxed breakfast and thereafter start your city tour around Kampala, visit the Kasubi royal tombs, National museum, Namugongo martyrs church, Gadhafi mosque, Nakasero fruit market and any other local market if time allows later head to Entebbe Airport if it’s your scheduled departure time.